We know that not everyone wants to jump out of a plane, we understand that not everyone can bake but we do know a few ways that everyone can support Shelter Cymru and help us to raise vital funds to help us prevent homelessness and poor housing in Wales. And the best news? None of these fundraising ideas will cost you a penny. Easyfundraising is a FREE service where you can shop with your favourite online stores at no extra cost and raise money for Shelter Cymru. You still shop directly with each retailer as you would normally, but simply by using the links from this site first you will generate a cashback donation. So if you’re an online shopper, you can browse through over 2000 retailers (including Amazon, eBay, John Lewis, Play.com, etc) and up to 15% of the value of your purchase will be donated to Shelter Cymru. We are also registered with Topcashback and Give as you live. 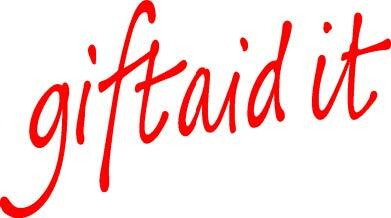 Gift Aid makes your donations go further and for every £1 you generously donate to Shelter Cymru, we can receive an extra 25p from HMRC. That means that every £10 donation we receive could potentially be turned into £12.50 at no extra cost to you – imagine what a difference that would make. For example, if every Regular Giver we had was eligible for Gift Aid, Shelter Cymru would receive an additional £10,000 a year. Please make a Gift Aid declaration and eMail it to the Fundraising team. 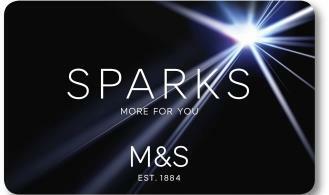 Do you have a Marks & Spencer Sparks Card? As well as earning loyalty points for yourself and accessing exclusive member benefits, select Shelter Cymru as your chosen charity and every time you scan your card, 1p will be donated. Since 2005, M&S customers have raised over £8million for Shelter Cymru and Shelter. Live near a Waitrose? Nominate us to benefit from their Community Matters scheme. Sainsburys, Co-Op, etc – most retailers now donate proceeds from sales of 5p carrier bags. And so supporting Shelter Cymru isn’t as difficult as it may seem. We hope you’ll feel inspired to engage in some fundraising activity for Shelter Cymru in the near future, and a big heartfelt “DIOLCH YN FAWR” to those marathon runners, abseilers, adrenaline junkies and cake-bakers out there. You really do make a difference.